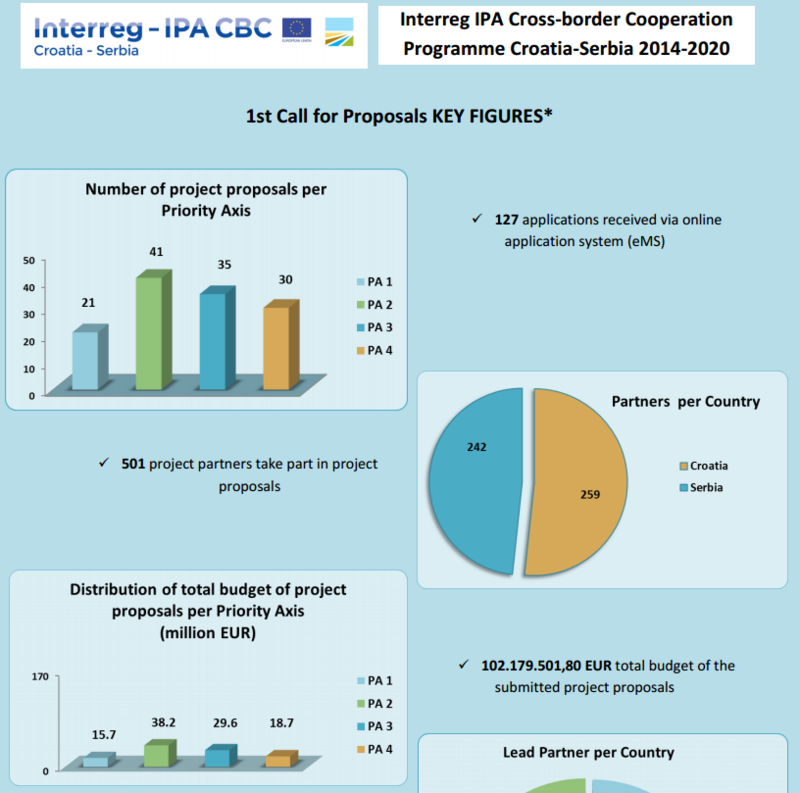 1st Call for Proposals of the Interreg IPA Cross-border Cooperation Programme Croatia-Serbia 2014-2020 was closed on 6 July 2016, 15:00 h.
Total available funds for 1st CfP is 15.009.809,00 EUR, whereas amount of funds requested is 102.179.501,80 EUR. 127 project proposals were received via online application system (eMS). Submitted project proposals include 501 project partners, out of which 259 partners are from the Republic of Croatia and 242 partners are from Republic of Serbia. Please see the 1st Call for Proposals IN FIGURES.